Trade Minister Tim Groser needs to give the New Zealand public far more information about the end game for the Trans-Pacific Partnership Agreement (TPPA) than he has so far, Green Party Co-leader Dr Russel Norman said today. 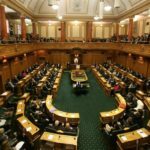 The next round of TPPA talks are scheduled for January, when most of the twelve countries involved in the negotiations will be on Christmas holidays and their parliaments will be in recess. 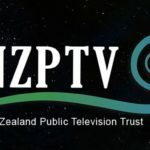 “As the TPPA negotiation moves towards a possible conclusion, the New Zealand public deserve to know what the Key Government is willing to give up to achieve this deal,” Dr Norman said. “Before the next round of TPPA talks starts in January, Tim Groser should; at the very least, tell the New Zealand public what our bottom lines are and what he is willing to sacrifice to get this deal done. “Minister Groser has made various statements that no New Zealander will pay more for their prescriptions because of this deal,” Dr Norman said. “If New Zealanders have nothing to fear from the TPP negotiations why won’t the Minister tell us what he agreed to, particularly in relation to Pharmac? 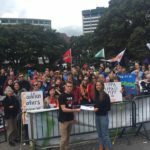 “The TPPA will have far more impact on New Zealand’s ability to make laws protecting our environment and health than any other such agreement,” said Dr Norman.